Were You or a Loved One Injured in a Car Accident? Read This! After a car accident, it’s natural to be preoccupied with pain relief. The problem is that you or your loved one may actually be setting yourself up for chronic pain by letting medication do all the work. Yes, drugs and immobilizing devices can often keep pain at bay, while allowing for some function. But they also prevent you from knowing what needs healing — and what to do about it. Starting physical therapy as soon as your doctor clears you to do so can make a big difference in your eventual recovery. Damaged muscles and joints build up scar tissue if they’re not worked properly after a car accident. In addition, neglecting to treat the areas injured after a car accident often creates a domino effect. If your neck was hurt in the accident, for example, your body begins relying on nearby muscle groups. This causes your shoulders and back to go out of alignment. You may also experience more headaches with an untreated neck injury. Among the more common injuries associated with car accidents are head and neck injuries, shoulder and back damage, broken pelvis, and damage to the knees, lower legs and feet. Some people suffer multiple injuries, with different healing times. It’s not uncommon for people to neglect at least one injured area after a car accident in favor of pain medicine. That lack of attention can turn a short-term problem into a chronic one. As with other injuries, “use it or lose it” is the key to treating chronic pain after a car accident. 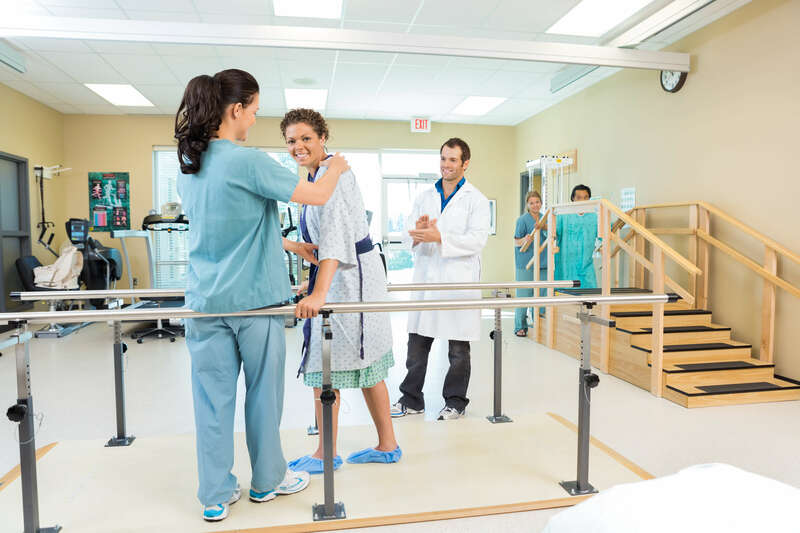 Physical therapists work with you to get back your flexibility and range of motion, as well as strengthening muscles that weakened after the injury. They also show you how to move more efficiently to reduce your current pain. Some people who suffer from traumatic brain injuries (TBIs)after being in a car accident may be unaware how physical therapy can help. Yet a brain injury can impact a patient’s ability to walk, speak and focus. Physical therapy helps with a myriad of these TBI complications. The nature of the TBI you or your loved one is suffering from will dictate what kind of physical therapist your primary physician may recommend. A physical therapist who specializes in occupational therapy may work best for some TBI recovery. Or you may need one to help you transition from a walker, to a cane, to walking unassisted. Call Armor Physical Therapy today and speak to our experts physical therapists.